I have been looking for a notebook for the entire summer, and I was on the brink of giving up. I have been trying to get organised, and a dedicated blogging notebook was where I thought I would start. I had stumbled into every stationary and notebook shop within the entire Manchester radius. I had also spent hours looking online, but they are always so expensive and then delivery on top. Most of all, I never actually found one which I truly loved. But they say you find what your looking for, when you least expect and that is exactly what happened in this case. I was shopping in Scribbler for a birthday card for my friend's birthday and I spotted this starring at me on the shelves. (Unfortunately this is not available online, but if you have a local Scribbler I would pop in and have a look if you like it).I had set out to get one with a ringed edging, as it makes it easier to keep the pages open, and help prevents it from getting tatty. This one however has a ridged edge which makes it much easier to use, and the pages will stay open when a little pressure is applied. 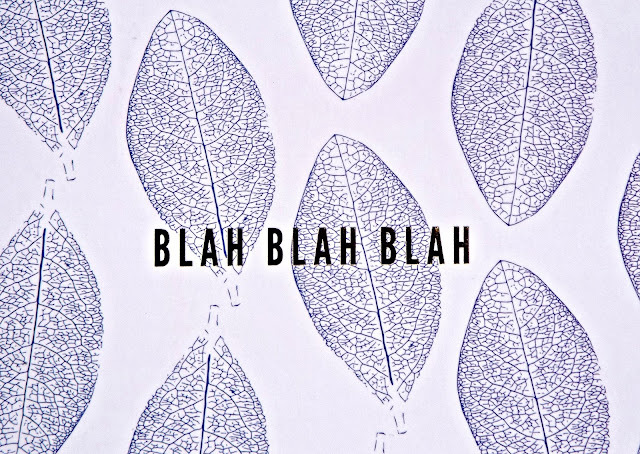 The blah, blah, blah message is great, as it is a notebook where I am going to writing endless notes, which will only make sense to me. What makes it even prettier are that the words are embossed in gold. I also really like the elastic attached as it very practical and keeps everything together, and if you have any loose papers they won't fall out. The notebook has a real autumnal feel with the leaf design, but it is still a simple, classic notebook. I was so happy to have finally found a notebook which I really like, and I was pleasantly surprised at the price tag of £6.99. 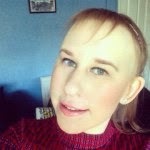 I am hoping this will be the start of my organisation journey, as I often get random thoughts when I least expect and I will now have somewhere to jot them down instantly. 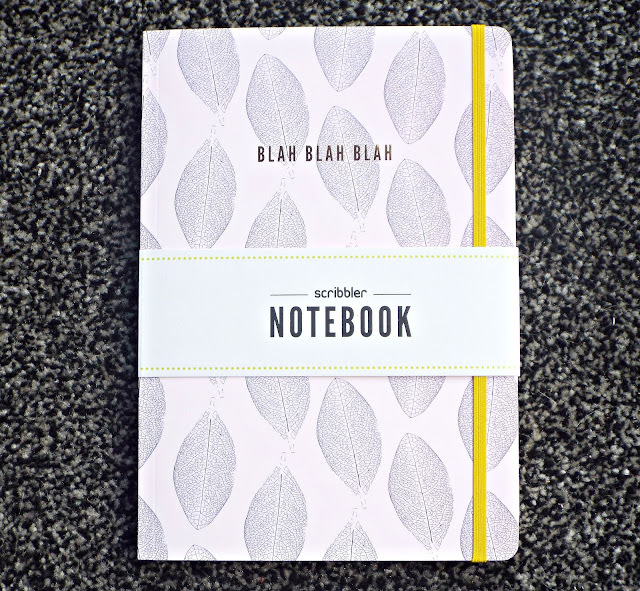 Do you have a dedicated blogging notebook?